Selling jewelry takes knowledge about who your customers are and what they're looking for, whether it be for collectibles or women's wedding rings. 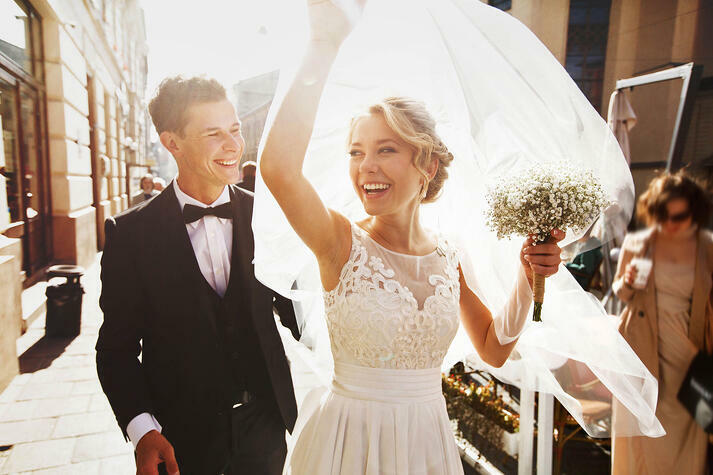 You can learn quite a bit about your target market by dividing it into different personas, particularly for your bridal sales. Here are various bridal personas you may encounter, and learn about how to sell them jewelry. One of the most self-confident buyer personas equates with taking proactive moves and making winning decisions. This type of buyer knows what they want and wants things done their way. You must acknowledge how much they value their individuality, and show that you are there to help them find what they are looking for. And don't worry, the decisive driver is not offended by opposing viewpoints. Therefore, you should be decisive when showing them the values and benefits of different products, and be willing to take risks with them. Another common persona is known as the "Consesus Collaborator": someone who follows market trends. This buyer eagerly collaborates with the consensus and presents a diplomatic personality. She is respectful to others and is able to adapt to new situations. You will need to learn about the various things that significantly influence her decisions, so that you can effectively use that to help lead her to a jewelry piece that she loves. Unlike the decisive driver, the consensus collaborator is more likely to work with a group of people, especially jewelry professionasl, in order to make her decision. The "Escapist Friend" persona can be attributed to people who are bored with reality and desire to live in their ideal world. This person is likely to not be shy, and \quick to share personal stories. It's usually not a good idea to bring up technical details to this person. She may be interested in women's wedding rings, but dreams of customized solutions. The "Skeptical Guardian" is not very talkative but engages in critical thinking. This persona does not easily trust others, so it may take awhile to nurture this relationship. Despite the high level of skepticism, this person is still willing to have friendly conversations with sales agents, especially through email. It's best not to get too comfortable at first, and take time to get to know them better before trying to close the lead. The "Data Analyst" prides themself on making cautious decisions based on doing heavy research and trying to know everything there is to know about the jewelry pieces , before making the purchase. These people tend to pay attention to each cut, carat, and clarity, and want to ensure that their purchase will be well worth their money. You will need to provide them with information that impresses them in order to sell them jewelry. Be sure to give the data analyst enough time to process the information he or she needs to arrive at a calculated decision. Try not to make an issue out of the customer's emphasis on data. The "Innovative Strategist" looks at problems from a new angle and tries to experiment with solutions. It's a person who thinks outside of the box and is willing to break old rules to gain fresh perspectives. This person enjoys testing boundaries and is willing to take risks. The best way to deal with this persona is through brainstorming. Then allow the innovative strategist to set their own agenda, being there to provide help if they need it. These are just some common personas that you may encounter, but you can also create your own buyer persona buy looking at your customer's demographics, lifestyles, purchase trends, or other categories that relate to your jewelry customers. However, understanding the basic six buyer personas above will also help you in your marketing strategies, when targeting potential customers who can be converted into leads.